Campus marketing programs are only as successful as the students you are engaging. 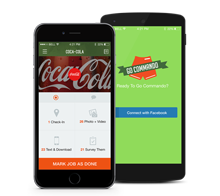 Go Commando App can transform your presence and engagement with millennials / generation z on college campuses. How? Instant reach to college students at over 1,000 colleges and universities nationwide. Think - thousands of potential brand ambassadors ready to spread your message. Prescreened campus reps cut out the waiting period. Create a task, set the cost, and we’ll take care of the rest. Fast, accurate, accountable campus reps.
Track students’ progress through in-app location, photo or video, and chat functions. No cost until task is completed to satisfaction, approved by you. If it isn’t done right, you don’t pay a cent. Period. 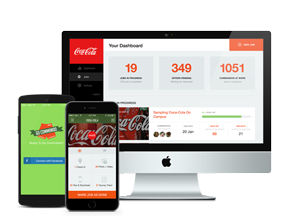 We have revolutionized millennial / generation z marketing by building an app that instantly connects companies with our “Brand Commando” network of pre-screened college students at over 1,000 college campuses. 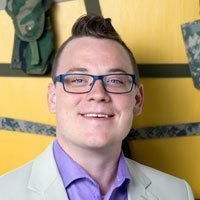 Leverage Go Commando to build brand awareness, immediately scale your campus marketing, and easily manage your brand ambassador program. 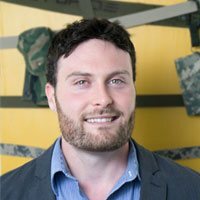 The Go Commando Brand Dashboard provides companies with real-time chat functionality, task completion accountability, and task reports so they can seamlessly measure the results of their college rep efforts. Get started with a free demo so you can be ready to take your campus marketing program to the next level. 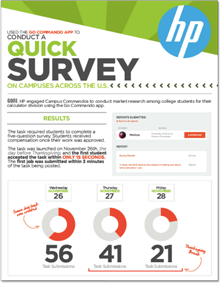 HP used Go Commando App to gain essential market research on existing buyer preferences of college students. Using the brand dashboard HP easily created a survey and posted it to targeted campuses. Within 15 seconds they had their first response. Download the case study to see the full results. Get your product and brand into the hands of millennials / generation z at one campus or hundreds within minutes, and it’s as simple as 1, 2, 3. Decide what your task will be then pick schools to target, the number of students per school, and the dollar value of the task. We share your job with our Brand Commandos at the schools you selected via text, email, and social messages when it’s ready. Once students complete the task, you approve their work. We take care of the payment process.